This one-day course has been devised in response to practitioners' feedback and aims to refresh practitioners teaching skills in order to make teaching in any community context easier and more effective. Understand the value of becoming a reflective practitioner. The course is designed to support you to develop your teaching skills and professional practice. You are expected to already have knowledge and skill in your chosen dance style. Have a commitment to developing their own reflective practice. Geraldine Hurl has developed a 40-year career working as a dance artist practitioner particularly in the fields of professional development and training, community dance and dance education. 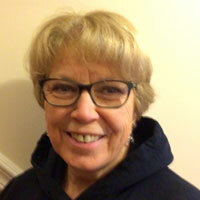 She has worked for several key dance organisations in Wales including Powys Dance, Rubicon Dance and latterly Cardiff Metropolitan University (UWIC) where she was responsible for the development, implementation and direction of the first single honours dance degree in Wales. She has gained a wide range of experiences across many dance disciplines: choreographer and performer, dance lecturer, teacher, facilitator, and trainer. In support of her work as a dance artist practitioner, she has developed skills in management, project development and administration. Currently working as a freelance dance specialist and consultant, Geraldine is External Examiner for the Diploma in Dance Teaching Studies at Royal Academy of Dance and until recently was an assessor for Trinity College London for the Diploma in Dance Teaching and Learning. She has undertaken several research and evaluation projects for dance organisations in South Wales - Rubicon, Bombastic Dance, Theatre & Digital for Young People and Ballet Cymru. More recently she drew up a pilot framework for an Evaluation Strategy for Rubicon Dance as well as carrying out the evaluation of Bombastic’s LiveHive NESTA Digital Innovation Project. She is Chair of Board of Directors for both Earthfall and Bombastic. She still likes to create and perform dance and is as a member of Striking Attitudes, a professional and community based dance theatre company for the older dancer. She is currently supporting a Swansea primary school in developing their school dance curriculum.